As a dedicated and well-respected members of Solicitors for the Elderly (SFE), Howells’ private client team are committed to providing high quality, legal help with care home fees for older clients who may be vulnerable and who may require extra support. Who pays care home fees? Can wrongly paid care home fees be recovered? Who should sign the care home contract? Should top-up fees be paid by the family, the resident or the local authority? Howells is an established law practice with offices in Cardiff, Caerphilly, Newport, Talbot Green, Bridgend and Swansea, offering the personal care and attention of a much smaller practice. When it comes to paying for care home fees, the law is frequently confusing and often very frustrating for both the elderly person involved and their families. At Howells we specialise in making everything clear and simple as possible every step of the way. We can advise you through the hospital discharge process. We can help you to determine whether you qualify for financial assistance and we can advise you if there is a change of circumstance or represent you at annual funding reviews. We can in some cases help you to recover wrongly paid care home fees retrospectively. Howells legal experts in this area of the law work closely and in partnership with a fully qualified consultant nurse assessor to thoroughly asses, analyse and pursue your case. Howells offers a comprehensive service to our elderly clients from planning for retirement onwards. 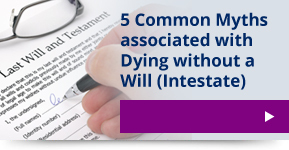 Click here for information on Wills, Lasting Powers of Attorney for Property and Finance, Lasting Powers of Attorney for Health and Welfare, and Asset Protection Trusts. For more information about how we can help you, please speak to a member of our team on 02920 404034, email: info@howellslegal.com or submit an enquiry form online today.